How fun a day was that !~! I love NC, brother lives outside Asheville forever, some of the best of everything there. 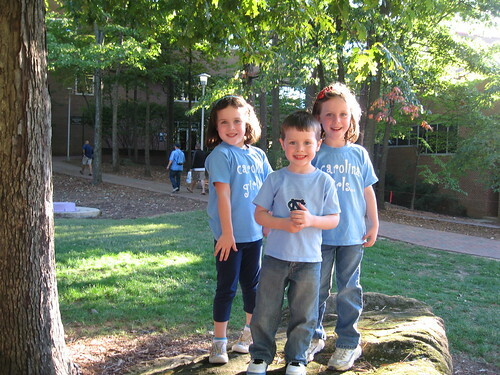 Tar Heels Rock! The right color blue is Wildcat Blue! We should wager a fat quarter on a basketball game or something! I'm so glad you had a great time! I've just got to give you a big ROLL TIDE!!!!! (Even though South Carolina kind of kicked our rumps last week)...oopsie! Adorable, thanks. 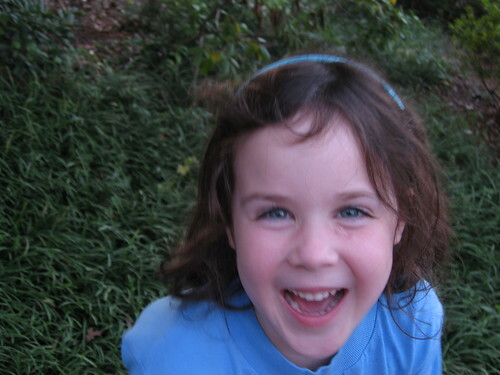 You could just fill your blog with those smiling faces and I would be happy. I'm all about some fall football and I must admit...though the blue thing isn't what I normally go for...sugar sugar sugar! Your kids are just precious! 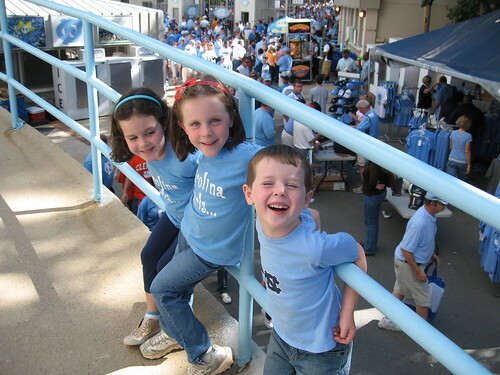 What a great post-- your kids are so cute and I'm happy they got to spend a day watching the Heels win! 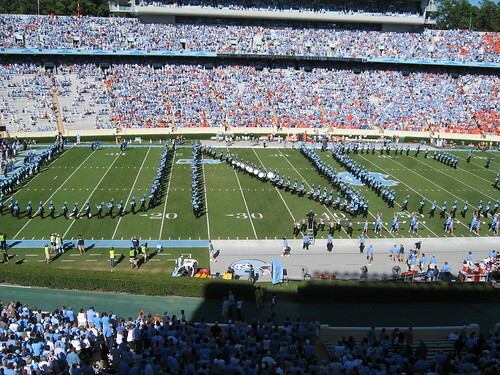 I graduated from UNC almost 8 years ago and every fall I miss Chapel Hill more than I can say! 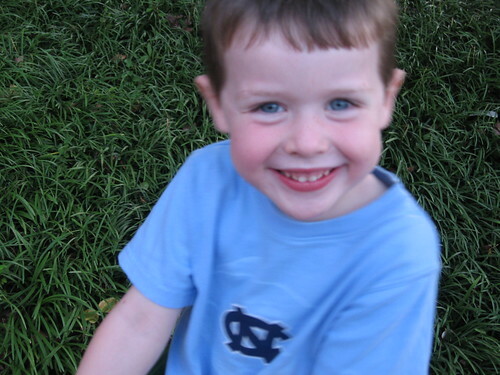 Go Heels, Go! 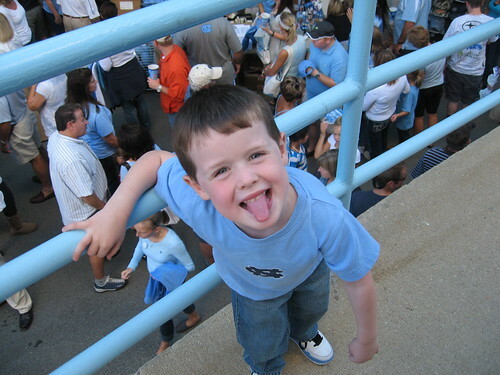 I have to say I miss the crazy football fans, the traffic on campus when there's a home game, and the smell of Carolina Blue victory in the air! 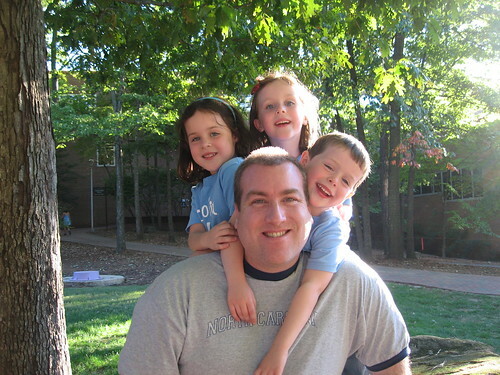 Cute photo of you and the kids. just wish your wife could of been in the picture too, but someone had to snap the shot. Looks like a fun day was had by all John! Awesome pictures. I can't say I've ever been a real big sports fan, but I'm always rooting for TEAM QUILT DAD! 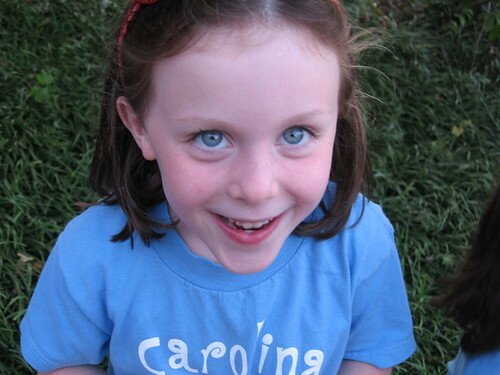 I see they all have Carolina blue eyes too! I love the cooler fall weather. Go Quilt Dad! I love this post, John! Made me think of the last game I went to (Cal vs visiting Michigan State) a few years ago. We had sunny, warm, festive day with family too. A blissful day, looks like we both had the same! But we have a bonus of grabbing a slice of Blondie's pizza afterwards. Love seeing your kids happy faces... what a great day! i hope your seats weren't on the sunny side of the stadium! i roasted at the ecu game! sorry, if i would have looked at the picture carefully, i would have clearly seen the big shadow. You children are just gorgeous!